FEATURE — St. George Auto Gallery is giving away a $50,000 Jeep to one lucky participant at the end of their “Quest for the Key” promotion, which starts Monday and goes through Oct. 5. As part of the contest, St. George Auto Gallery will have a large banner with the numbers 1 though 5 hanging on the service center at their 700 South location. Each day there will be an arrow pointing to a different number. Participants should make note of the number and call in to participating radio stations at different times throughout the day. 99.9 KONY Country is offering the most chances to win. KONY will broadcast the sound of a honking horn four times a day between 7 a.m. and 4 p.m., at which point listeners should be the 10th caller to ring in with the number they saw at the St. George Auto Gallery service center. Other stations are giving away one key per day at specific times. Planet 105.1 is doing their giveaway to the 10th caller at 9 a.m., 95.9 The Hawk’s giveaway is at 9:59 a.m. to the fourth caller and Juan 104.1 is giving the key to the first caller at 9 a.m. The Jeep giveaway will take place on Oct. 18. Everyone who has a key is encouraged to be present when they reveal the winner of the Jeep. 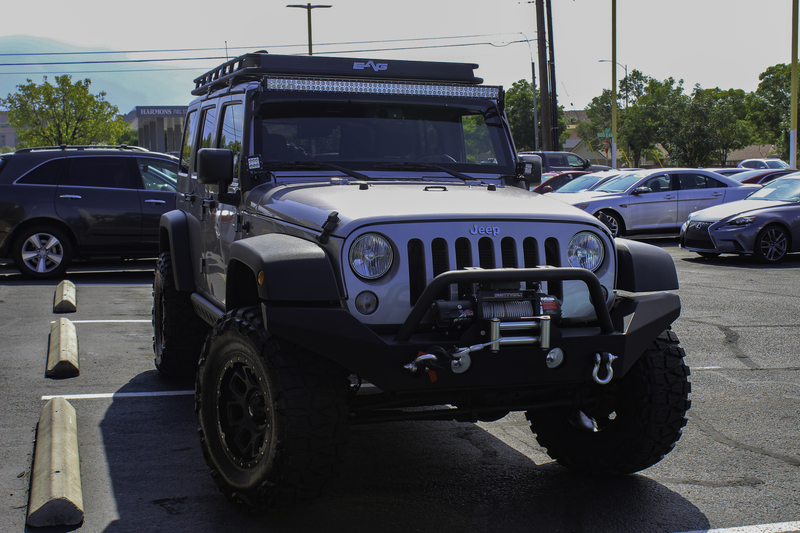 The 2016 Jeep Wrangler Sport started out as a stock vehicle, but St. George Auto Gallery added new wheels, tires, a rack, lights, a winch and a shovel, as well as giving it a 4-inch lift. “We went all the way through it from the ground up,” said St. George Auto Gallery owner Jared Wheeler. The Jeep is part of a new “Zion Four Wheel Drive Service Package” the shop offers, fixing up four-wheel drive vehicles to become even better adventure mobiles. However, it’s just one of many full services offered, including engine rebuilding, transmission work, oil changes, alignment and many others. Wheeler opened the St. George Auto Gallery in 2009. A year ago, he opened his second dealership and service shop on 700 South. 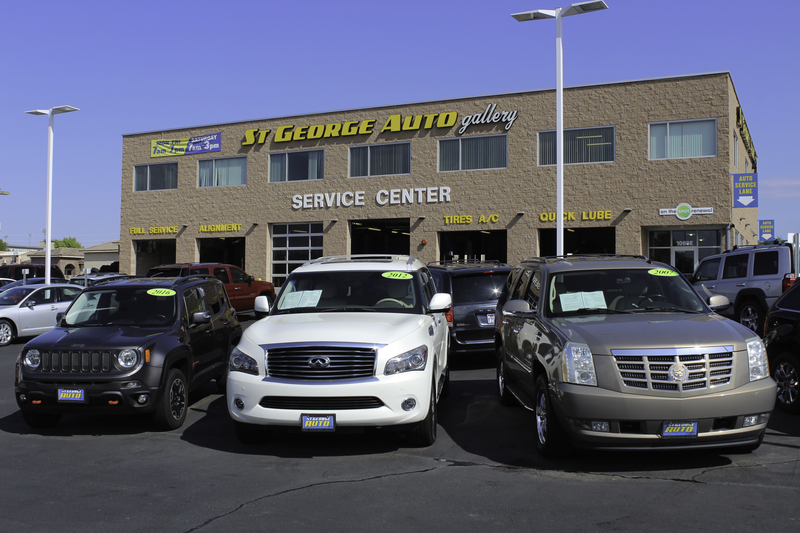 They are the largest independent car dealership in Southern Utah, with over 250 vehicles, Wheeler said. When Wheeler first started the company he wanted to do it differently from anyone else. He and his employees pride themselves on being a trustworthy dealership that builds personal relationships with their customers. Seriously ? A 3 year old USED Jeep “sport” , (read lowest standard model available, not a Rubicon or even a Sierra) And you place a value of $50,000 !!?? God, No wonder anyone with half a brain doesn’t buy a vehicle here. Apparently you didn’t read the article..HAHAHA! Go cry to somebody who cares!